Powerful inspiration from Tony Robbins that resonates with me today as tomorrow is the one year anniversary of Bella Bella Vita. 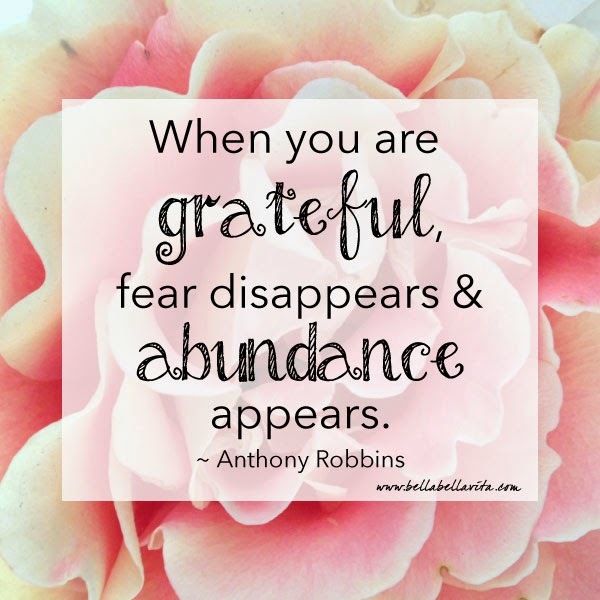 I had many fears when I started this blog and it has been an amazing year filled with abundance. I am so very grateful! p.s. A big thank you to my sis Donna for the beautiful roses from her garden that are pictured today. They're exquisite!